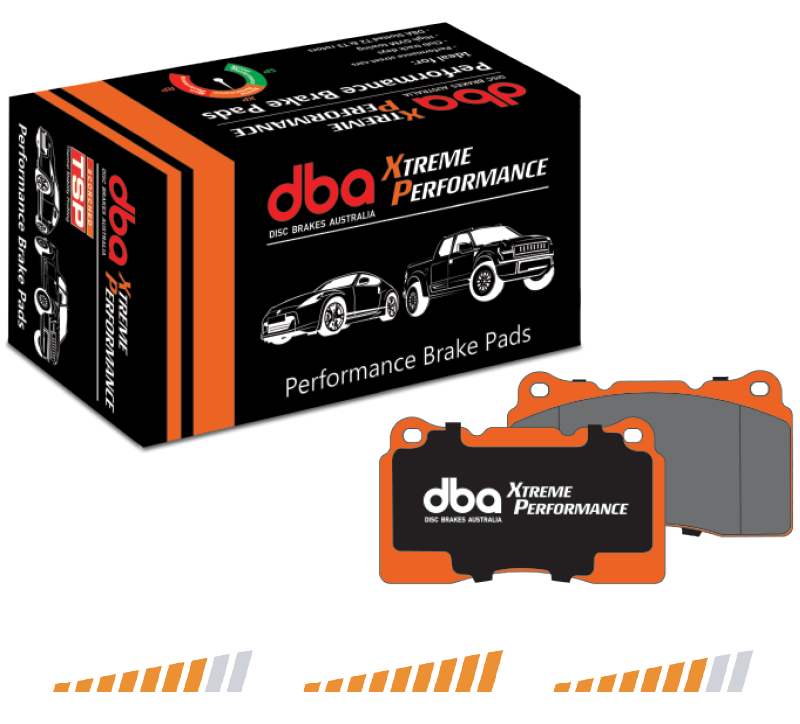 DBA’s Xtreme Performance brake pads have been designed for drivers seeking high initial bite and friction consistency from low to high temperatures. The XP range are for heavy duty applications, where higher friction levels are required, in order to safely brake under extreme conditions. DBA recommends Xtreme Performance brake pads for street performance and police pursuit vehicles, as well as club track days, heavy towing and upgraded 4WD’s. DBA recommends T3 slotted rotors in the 4000 & 5000 Series for best stopping performance. DBA Street Performance part numbers are denoted by the suffix (XP).